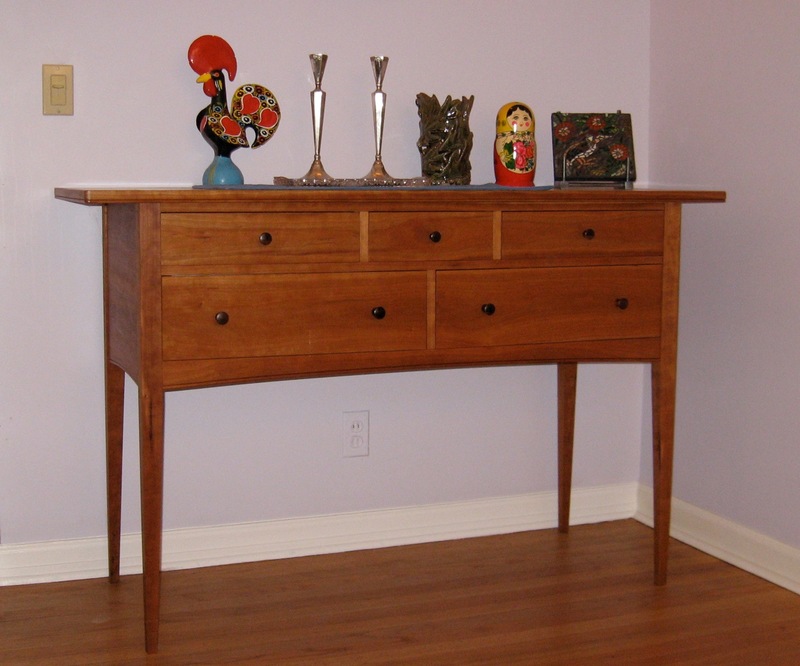 This Sideboard is a companion to the China Cabinet and the Dining Table & Chairs. The drawers are constructed with hand cut dovetails and solid wood bottoms, as all of my drawers are. Cherry, Maple drawer sides & bottoms, Padauk pulls. Hand-cut dovetail construction for drawers.